Lawmakers in the state House unanimously passed a group of bills they say will make state government more transparent. The bills would, in some cases, open the governor’s office up to freedom of information requests. They would also create a new Legislative Open Records Act to allow for some records requests from state lawmakers. Representative Daire Rendon (R-Lake City) is a bill sponsor. She says Michigan is one of only two states that doesn’t allow for records requests from the governor and Legislature. “It was necessary for us to be like everyone else and make government more accountable to the state of Michigan,” says Rendon. Lonnie Scott is the executive director of Progress Michigan. That’s a progressive watchdog organization. He says they do believe the bills are a step forward. But they’re concerned that when it comes to the Legislature, if a records request is denied, any appeal would be handled internally by a special council. “The Legislature has created their own system which really eliminates some of the checks and balances that are within our FOIA law which makes them work,” says Scott. Entities that are subject to the existing freedom of information law can have appeals decided by judges. The leader of the Republicans in the Senate, Senator Mike Shirkey (R-Clarklake), says their chamber will do something to improve transparency, but it probably won’t look like the bills the House passed. 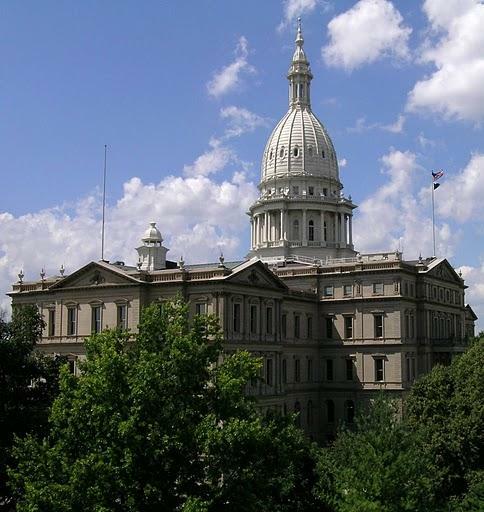 Progress Michigan calls FOIA legislation "problematic"
Progress Michigan is calling attention to a bipartisan package of bills that's been introduced in the state Legislature. House Bills 4007-4016 call for expanding Freedom of Information Act Requests to the governor's office, and opening up the Michigan Legislature to those requests through a new proposed act. The state Legislature could tackle a topic this term that it couldn’t get past the state Senate before. Some lawmakers – including new leaders – are making transparency a priority. Last term, the state House unanimously voted to open the governor’s office and the Legislature up to Freedom of Information Act requests. But they ran into a major obstacle in the Senate. Incoming Democratic Senator Jeremy Moss (D-Southfield) was a Representative last term.